Last year, Mazda North American Operations (MNAO) introduced a new approach to the engineering design of engines and transmissions designed to gain torque and miles per gallon ratings of their automobiles. This approach is marketed under the overall name of SKYACTIV and has two engine types that will be for sale to the public by the end of 2013 - SKYACTIV-G (for gas) and SKYACTIV-D (for diesel). Mazda Motorsports will be using the 51st Rolex 24 at Daytona to preview a new racing platform that uses the revolutionary SKYACTIV-D Clean Diesel technology engines with added racing technology to bring them up to producing 400 hp @ 5000 rpm from a 2.2L displacement inline 4 cylinder turbo diesel block. 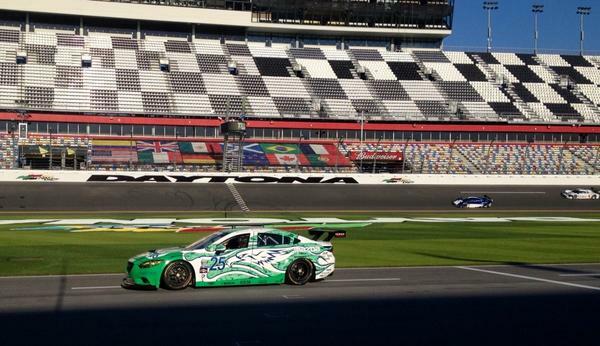 Mazda will be seeking its 24th class win at the Rolex 24 at Daytona endurance race with three all-new 2014 Mazda6 race cars powered with the SKYACTIV-D Clean Diesel engine. This will be the first-ever diesel power plant to compete in GRAND-AM racing. The SKYACTIV-D engines are a majority production-based employment, with more than 60-percent stock components, including the engine block and head. WHAT’S NEW WITH MAZDA MOTORSPORTS? EVERYTHING! The Engine: A production-based racing version of the same 2.2-liter SKYACTIV-D Clean Diesel engine that will be available in the second half of 2013 for retail sale. The race engine includes over 250 stock components. The block and head are Mazda production parts, identical to that used in their production cars. #70 SpeedSource: Jonathan Bomarito, Marino Franchitti, James Hinchcliffe, Tom Long and Sylvain Tremblay. 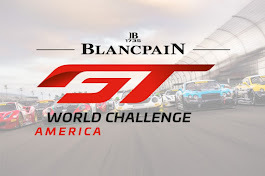 The two-time GT class winning team (2008 and 2010) will be seeking their third set of Rolex watches. #00 VISIT FLORIDA Racing/SpeedSource/Yellow Dragon (Video Laps): Joel Miller, Tristan Nunez, Spencer Pigot, Yojiro Terada, and Tristan Vautier. Terada is the veteran Mazda racer who has competed in more than two dozen 24 Hours of Le Mans races, and scored class wins with Mazda at Daytona in 1979, 1982, and 1985 . The others are all racers who have won recent championships within the MAZDASPEED Motorsports Ladder and the Mazda Road to Indy. #25 Freedom Autosport with Andrew Carbonell, Tom Long, Rhett O’Doski, and Derek Whitis. 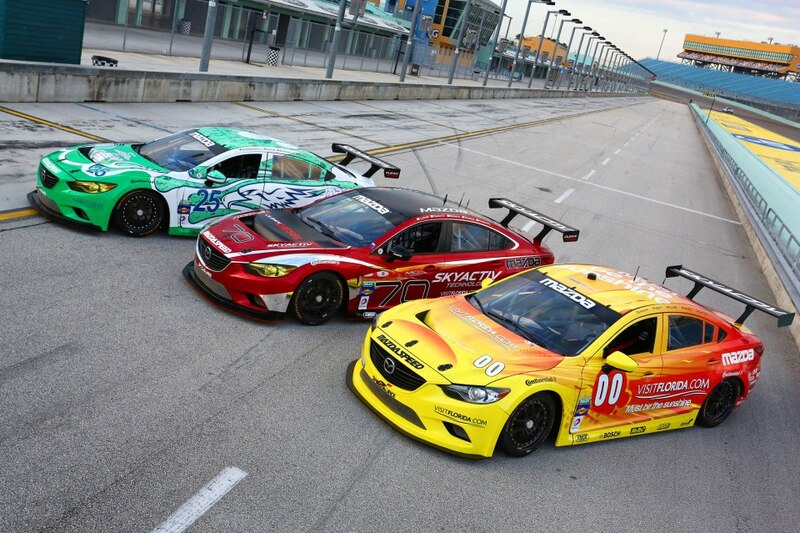 Freedom Autosport has been a winning team in the Continental Tire Challenge with Mazda. They are moving up as a complete team. John Doonan, Director, Mazda Motorsports, Mazda North American Operations -- "This is an amazing moment in Mazda Motorsports history because we are once again bringing innovative technology to the race track to demonstrate the performance, quality, durability and reliability of our brand. While many know us as the ‘rotary engine’ company, and we love that part of our heritage, to race our latest SKYACTIV-D Clean Diesel technology in our newest car, in the race where we have scored our largest number of wins, is amazing. To get to this point, thousands and thousands of hours by engineers within Mazda in both Japan and the U.S., along with the amazing team at SpeedSource, has produced what we see as our prime mover for the next decade, SKYACTIV engines for racing." Sylvain Tremblay, Owner, SpeedSource Engineering, and two-time Rolex 24 GT class winner – "I feel fortunate to have been a part in adding a few pages in the history of Mazda Motorsports. 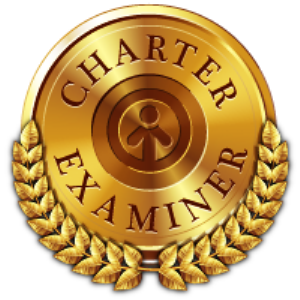 Now I am humbled to be part of a whole new chapter! New engine, new car, new everything, SKYACTIV is the way forward for us at the racetrack, like it is for the 2014 Mazda6, better performance and better fuel economy, what’s not to love about that. Very excited and proud of all the work by Mazda and our team here at SpeedSource in bringing this fantastic program to fruition." To complement the SPEED TV coverage, Mazda will be providing a ‘second screen’ of coverage via streaming video from onboard the Mazda cars as well as some behind-the-scenes access to the Mazda teams. Mazda fans can log on at www.MazdaUSA.com/motorsports at anytime during the race. 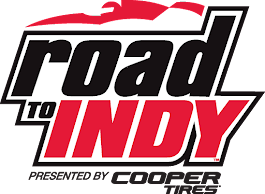 The Pro Mazda Championship Presented by Cooper Tires has contracted the services of SpeedSource Race Engineering as the Official Engine Builder and Technical Consultant of the newly formed Mazda Road to Indy series which fills the opening vacated by Star Mazda. The Coral Springs, Fla., company will begin the re-manufacturing of all Mazda Renesis rotary engines currently used in the championship to 2013 specifications and also provide internal modifications to ensure parity between engines and greater longevity of a season or more. 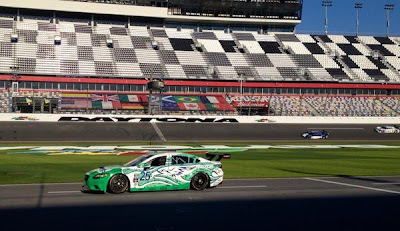 In addition to a long and notable history of racing under the Mazda banner, SpeedSource is the exclusive engine supplier of rotary engines to Mazda-powered GRAND-AM Rolex GT teams and is currently developing the Mazda SKYACTIV-D compound turbo diesel motorsports engine for the 2013 GRAND-AM GX class. Founded and led by accomplished driver and team owner Sylvain Tremblay in 1995 to provide full-service race services and custom components to club level and professional drivers, the company operates out of a 50,000 square foot facility that houses both development and racing applications. "I am very pleased to add SpeedSource to our list of high-quality partners," said Dan Andersen, Owner and CEO of Andersen Promotions, the series promoter. "Although I have not had prior dealings with SpeedSource, it is clear to me that they not only have an impressive resume and reputation but also have put together a great new Pro Mazda engine program. 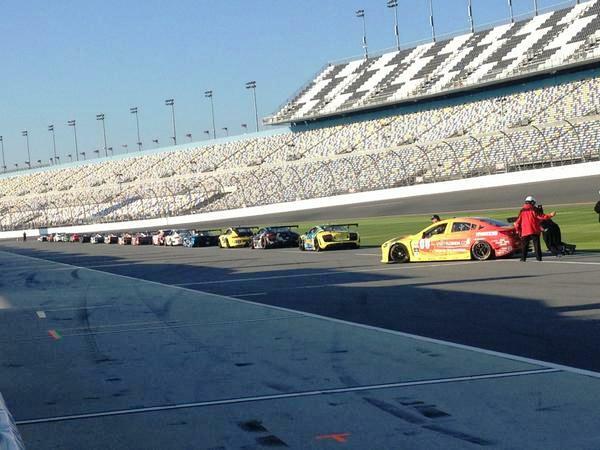 I am very confident that this will result in a better championship for our competing teams." SpeedSource will begin the remanufacturing process on Pro Mazda engines this month. The program will be fully implemented by May 1. Prior to this date, competitors will have the option of using either SpeedSource engines or prior specification engines built and sealed by the former Star Mazda Series with SpeedSource mapping to ensure parity. 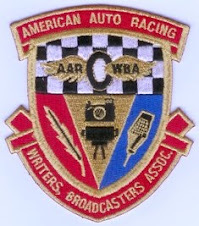 All cars entered after May 1 and any one-off entries which have not been through the SpeedSource process will undergo a rev limiter adjustment to offset any disparity. "We are very proud to have been chosen as the engine supplier for the Pro Mazda Series," said Tremblay. "The series itself has a great standing and we look forward to continuing the fantastic reputation of Mazda's Renesis rotary engine. Andersen Promotions has been great to work with and it is easy to see why they are the primary resource for Mazda's ladder program." 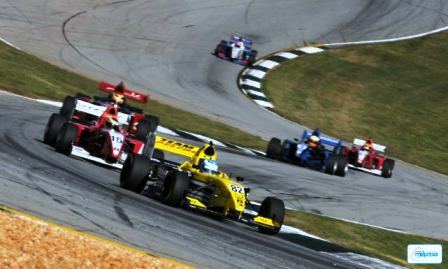 The Mazda Renesis rotary engine used in Pro Mazda is capable of producing 260 horsepower – providing an additional 90 horsepower over the Mazda MZR powerplant utilized in the Cooper Tires USF2000 Championship Powered by Mazda, the first step on the Mazda Road to Indy. The internationally award-winning engine also powers the Mazda RX-8 passenger car. "With years of Mazda racing experience and specifically rotary engine experience on their resume, SpeedSource Race Engineering was the logical choice to serve as the new engine builders for the Pro Mazda Championship," said John Doonan, Director Mazda Motorsports, Mazda North American Operations. "They have put Mazda rotary engines to the ultimate tests in endurance racing and have hundreds of victories to show for it, including two Rolex 24 victories in the last five years. Mazda has every confidence that the work SpeedSource does for the Pro Mazda Championship will provide reliable engines that have a performance window that will continue the great, close racing that this series has been known for throughout its history." A schedule for the 2013 Pro Mazda Championship Presented by Cooper Tires will be announced in the near future. Additional information can be found at www.promazdachampionship.com.